Jamie Walker has left Wigan Athletic to join Peterborough United on a season-long loan. The 25-year-old has joined the Sky Bet League One leaders for the 2018-19 campaign but won’t be available for tomorrow’s home clash with Doncaster Rovers. 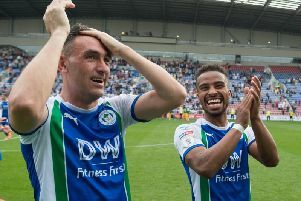 Walker has featured nine times for Latics since signing from Hearts in January. The window for making loan signing closes tonight.